Pine Trees And Pearls: Ming Fling! Laura and Kate Mulleavy's Spring 2011 collection for Rodarte included the most beautiful looks inspired by Ming vases from the Chinese Ming Dynasty. 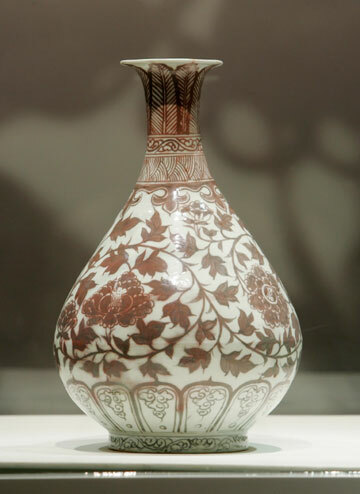 These vases were made over 11,000 years ago and have been a collectors dream ever since. I can see why Laura and Kate were inspired! View the entire Rodarte spring/summer 2011 collection in motion below! 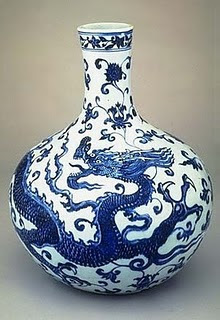 Here are some Ming vases that I thought sort of resembled this skirt I purchased last spring at Talbots. 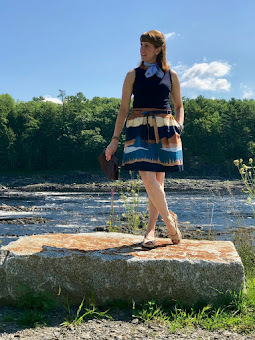 I never really used to think of this skirt as a piece that I would wear when there is still snow on the ground, but I was really feeling like I needed to keep on keeping on despite the 10 inches of snow that just fell on April 1st. (not my idea of a funny April fools joke by the way) I just so happened to have this cute 3/4 sleeve turtleneck with gathering at the shoulder in a royal blue color. You probably can't see the gathering at the shoulder in the picture, but trust me, it's there, and it's why I bought it about 5 years ago. 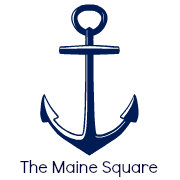 See how if you buy something that you love you will take care of it and love it forever?! But when you buy a trendy piece you hate it next year and three years later you can't believe you even bought it! Don't worry. It happens to the best of us! Laura's Style Lesson #589: Never buy something unless you LOVE it! Laura's Style Lesson #590: When in doubt, put it back! Love this post- gorgeously done! I love the combination of East meets West. L.O.V.E. 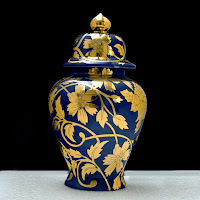 how the Ming vases have translated to the top 2 looks: Blue and white, and brown and cream dress. Thanks Fiona! You are a dear! 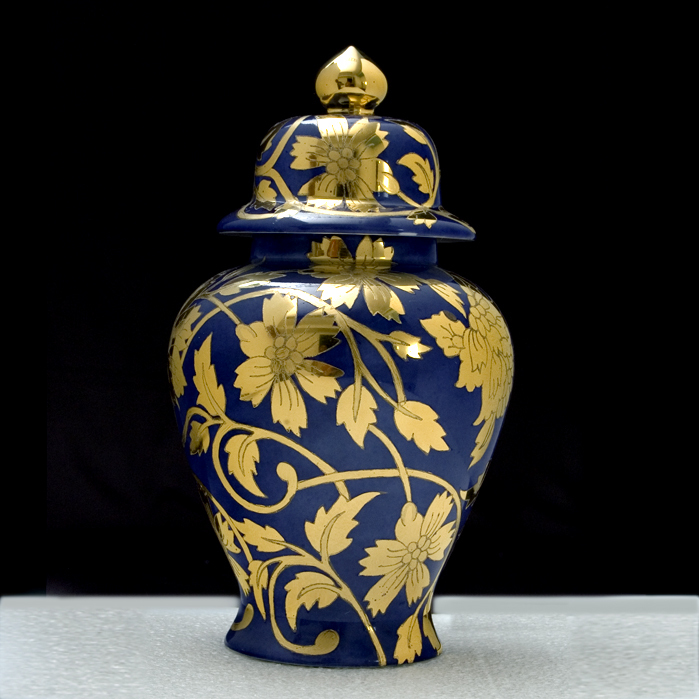 This post is absolutely one of the best I've visited in recent months....When I showed my students images of the "Ming Vases," we came across your blue and gold replica.....I told them that originals are priceless. The dresses are stunning and inspirational. Thanks so much for the wonderful images.